This smooth cleansing balm has a sherbert-like texture and gently melts away makeup, dirt, and excess oil without irritating or drying out skin. Offers a variety of benefits that go beyond just cleansing. Nutrient-rich rice water and fermented grains help skin retain moisture and offer brightening benefits, while chrysanthemum extract, which contains vitamins A and B, protects skin and soothes sensitivities. 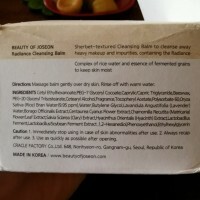 this cleansing balm does the cleasing effect that it claims. even my sf can be extracted easily while im using this. it is creamy but not too thick. added in my fav list after my heimish cleansing balm. the tub is not too bulky yet it is still a hassle for travelling purpose yet it does what it claims. thank you bling dear for this opportunity. This is totally my HG makeup remover cleansing product right now. Love this cleansing balm. 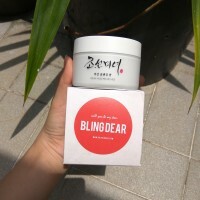 I use this cleansing balm as my first step of my skincare routine everyday that I wear makeup. This cleansing balm has little to no fragrance. It removes all traces of makeup even eye makeup as well, it removes makeup effectively in one wash. The texture is amazing, it is a solid cleansing balm, that melts in your hand and on your skin. It is non-irritating and doesn't dry out the skin after wash, it deep cleanses my pores and leaves skin smooth. 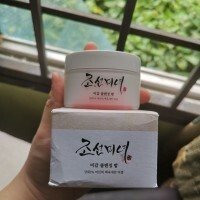 It is very moisturizing and has added glow to my skin. My skin just loves this. 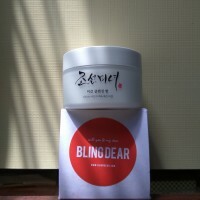 So happy and excited that bling dear let me try out Beauty of joseon radiance cleansing balm. I love the texture of the balm, to me it melt easily and not need to use a lot to remove makeup, it also have a slightly scent that I love it so much. The balm doesn't leave a greasy feeling after washing with water. It feels so soft or moistured after use it. I don't use makeup on a daily basis, I only use it when I feel my face is very dirty and when I put a light makeup on, I think it also clean a little bit of my blackheads. This will last for a while too.